Newly remodeled Efficiency Unit located on the first floor. Beach side of Collier Blvd. and just a short walk to Resident's Beach. Queen size Murphy bed, Full size fridge, stove, microwave. Queen inflatable air mattress available. Beach passes available from MICA office. Beautiful pool area, barbeques available for use. Walking distance from restaurants, shops. All linens, towels, pots, pans, plates, etc. provided. Great heated pool, club house, barbeque, Resident's Beach passes available $30/week. 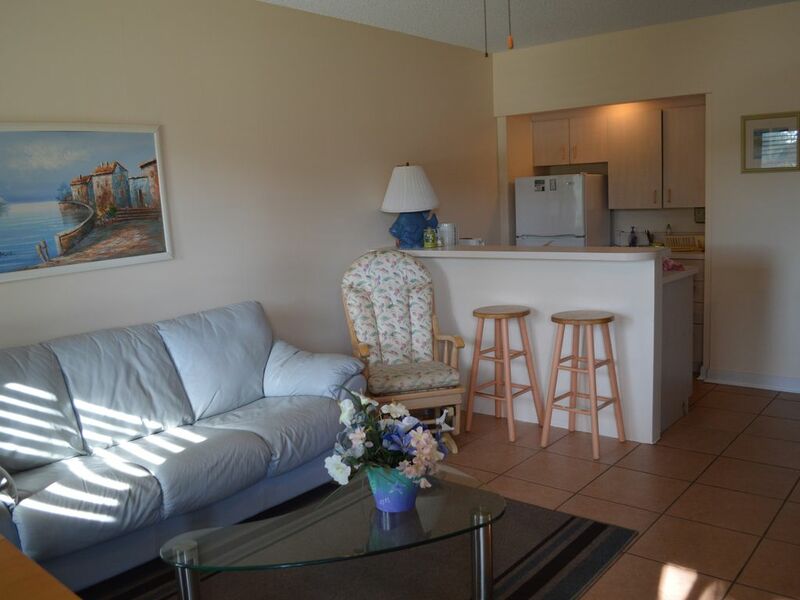 Close to shopping, church, grocery stores, and restaurants.